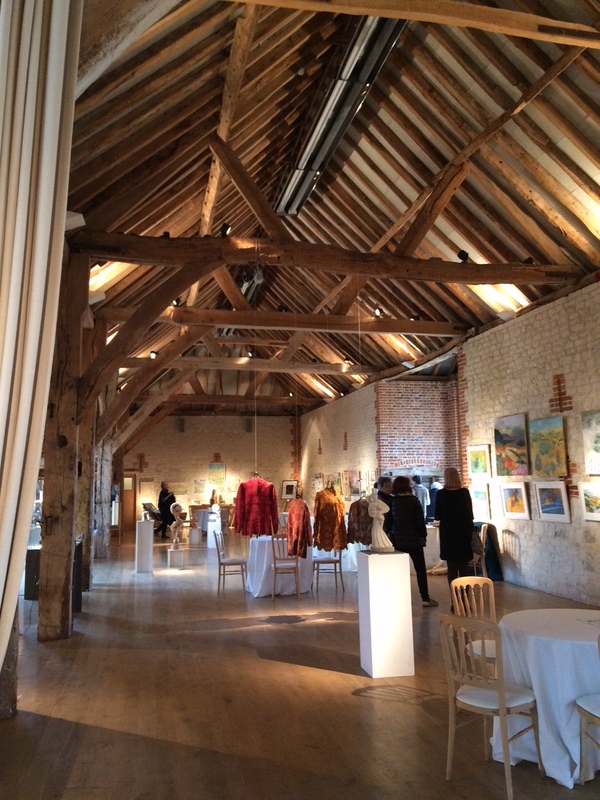 Bury Court Barn and its fabulous garden provide an inspiring setting for a new selling exhibition of contemporary craft from 11th to 14th October. Alongside the diverse range of superb work from leading makers there will be a programme of talks and demonstrations as part of Farnham’s craft month. Entry to the barn, the gardens and the talks is free. For details of talks please see below; no pre-booking is required. The garden will be open to visitors during the show, the cafe will be serving light lunches, tea and cake, and all combine to make this an unmissable destination for collectors, students, garden and craft enthusiasts alike. The 15 exhibitors are renowned craft practitioners in the fields of ceramics, wood, willow, jewellery and textiles who exhibit nationwide, and have come together to show pieces for sale or commission, and also to reveal their thinking, their inspiration and working methods in practical demonstrations and the illustrated talks during the exhibition. The stages of the making process – the consideration, the preparation and the sheer repetition of creating something by hand, all play an equal part in the finished piece. Some crafts require physical strength, some minute concentration and others a fluidity of action, and in all cases it is the process of making items over and over again that encourages the maker to strive towards the realisation of the idea and come closer each time. Ideas often take hours of work on paper or experimenting with materials before they are made. It is necessary to understand and learn from traditions, but for a contemporary maker to move forward requires having an idea that can push both the materials and the technique in a new direction: this can be extremely satisfying both for the maker and the observer, as it both respects but also questions what can be achieved with the materials and technique. 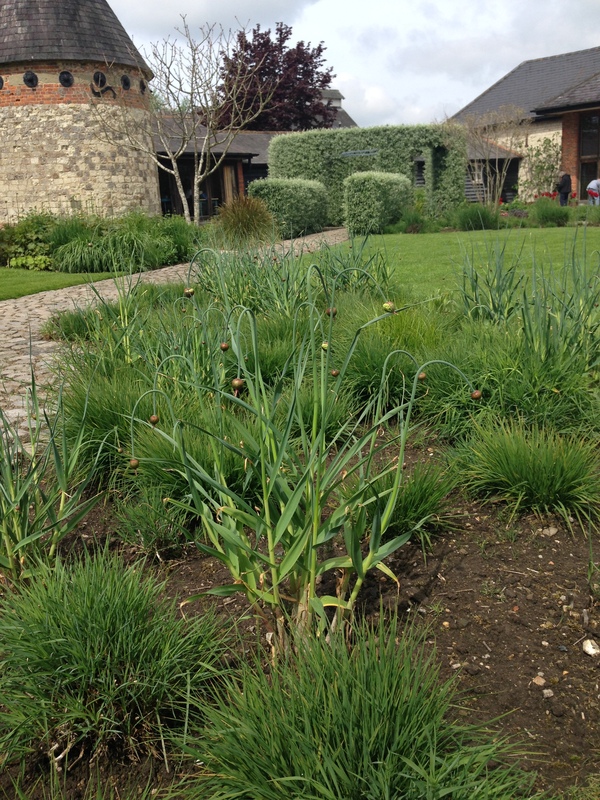 Bury Court was a hop farm until the 1980s, when the owner, plantsman John Coke, created, in collaboration with renowned designer Piet Oudolf, what is now a nationally renowned garden specializing in grasses and hardy perennials. 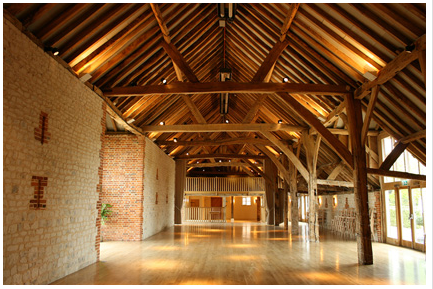 The original threshing barn, with a magnificent frame of oak, it is built of brick and the local Chalk stone, ‘clunch’, lending a spacious and sympathetic backdrop of natural, local materials to high quality hand-made crafts of all media.